If you’re looking for a truck that’s stronger, smarter, and more durable than the competition, look no further than the All-New Ram 1500 for sale at Spitzer Motors of Mansfield CDJR. We have a large selection of the All-New Ram 1500 in Mansfield and we have some exclusive discounted pricing whether you’re looking to buy or lease your Ram truck. Look through our available inventory of new Ram 1500s and check out all of the new performance and technology features, and browse by color, trim options, and more. And when you’re ready for a closer look, contact us for a test drive. But don’t forget to look at our current Ram 1500 specials to ensure you get the best deal. Best-in-class V8 engine with up to 12,750 lbs towing capacity. Best-in-class 45.1 inches of rear legroom for a more comfortable ride. Available 3.6L V6 engine with eTorque for up to 305 HP. Largest-in-class 12-inch touchscreen for navigation and entertainment features. Top safety features like Lane Departure Warning, Smart Cruising, Rear Cross Path, and Trailer Detection. And remember, these are just a few of the features that make the All-New Ram 1500 so popular. Want to experience the power of a Ram truck for yourself? After you’ve had a chance to look through our inventory of All-New Ram 1500s for sale in Mansfield, contact us for a test drive. We can help you apply for a car loan regardless of credit history, determine whether you should buy or lease your Ram truck, and more. 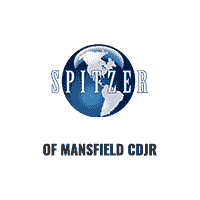 At Spitzer, Our World Revolves Around You, which is why Ohio trusts us as a leading dealer for the Ram 1500 near Ashland, Marion, and Wooster.